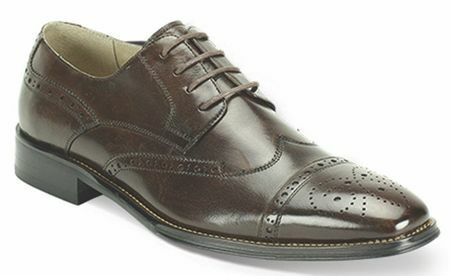 Some people may think that brown leather dress shoes are stodgy but not these highly polished dress shoes. Made by Giovanni. These fine looking shoes feature leather that looks good enough to eat. Designed in Italy, these are leather shoes that will make your suits come alive and give you a full stylish look that only fine leather dress shoes can make happen.